Retail advertising and marketing are now highly connected to technology because of a really simple reason: people use technology a lot more than in the past. It is enough to look at how a hard drive looked in the fifties and compare with what we have access now to realize why this is the case. Technology basically allows retailers to offer huge value to customers. That is something that is always great. Ever since the appearance of online shopping carts things evolved to the level that we are at and we have no idea what we will actually get to in the future. The problem is that this value is not properly understood by many. Due to this, let us think about how companies now use technology in order to offer consumer value. 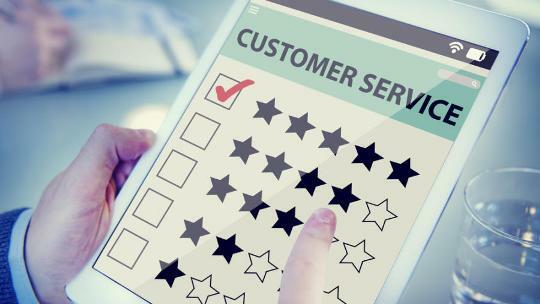 In order to sustain business growth, customer service is vital. It has been proven that close to 90% of online buyers are willing to pay more if they receive an improved customer experience. We now see retailers like Zappos that are renowned all around the world for the customer service that is offered, excelling in many regions like effortless returns and in-store experience. We see improved digital channel use that is setting a really high customer service standard. One of the most important things for a retailer is to be sure that the buyer manages to go through the entire shopping process as fast as possible. This includes services like secure storage of billing information, one-click orders and alternate retail channel purchasing. You basically want to eliminate obstacles so that the shopping process can be as fast as possible. Most business managers that offer the possibility of buying through the internet do all that they can in order to guarantee a really fast checkout process. It is expected that the US online retail industry will reach a huge strength of up to $370 billion by 2017. This will be possible because e-commerce will go way beyond the computer screen. We have various enhancements in technology that range from rotating ads to dynamically showing something that people would love while they use their smartphones. Two examples that can be mentioned include the services offered by RichRelevance and RotaryView. These are 2 companies that now offer an online experience that is really similar to what the consumer will encounter when going to a regular store. In-Store personalization is nowadays a really important part of online shopping and better technology is even now created. As companies give value-added services to the buyer, there is a much higher possibility to gain a competitive advantage because of the improvement of customer loyalty. Modern technology allows retailers to basically offer a highly enjoyable experience. As an example, we see the IKEA Catalog. It uses a mobile app in order to offer added services through augmented reality. This offers a virtual preview of the furniture you would buy so that the interested buyer can see how the furniture would look where it will be installed.